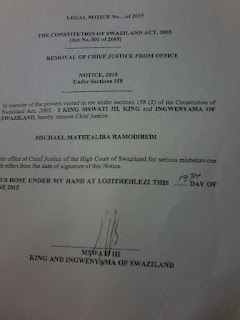 King Mswati III of Swaziland has fired his Chief Justice Michael Ramodibedi for ‘serious misbehaviour’. The King, who rules Swaziland as sub-Saharan Africa’s last absolute monarch, signed a legal notice on Wednesday (17 June 2015). 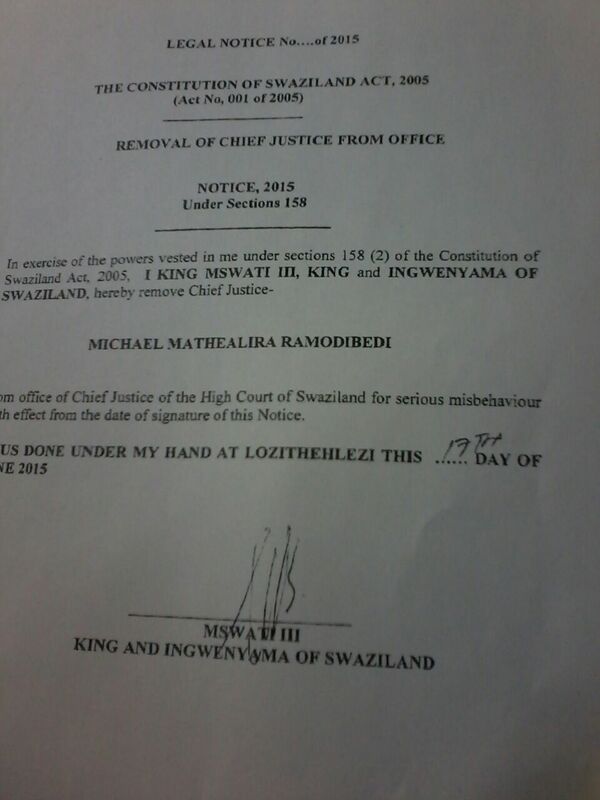 The King, who appoints all government ministers and top judges and who appointed Ramodibedi, cited the Swaziland Constitution in announcing his decision. The dismissal is with immediate effect. Ramodibedi had been suspended from office pending the outcome of a hearing of the Judicial Service Commission (JSC) into allegations of abuse of office.